How to connect HouseCall Pro to NiceJob and what the connection does. Housecall Pro is home service management software that makes it easy to schedule, dispatch, estimate, invoice, accept credit cards and get booked online by customers. All from your phone. To integrate NiceJob to Housecall Pro, you must have a Housecall Pro account and either be on the free trial of NiceJob or be on our standard plan. Make sure you have an active NiceJob account with the Standard plan. The connection is not available on NiceJob Lite. If you don't have a NiceJob account yet, you can go to NiceJob.co and sign up for a free 14 day trial. In HouseCall, navigate to the App Store, and select the NiceJob connection and click the button to make the request. 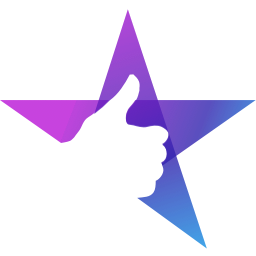 NiceJob will receive a notification of your request. Message us in the blue bubble on the NiceJob website or app after you've made the request to confirm you want us to go ahead and set it up for you. NiceJob will go ahead and create a Zapier connection between NiceJob and your account and notify you when it's done. Nothing additional will display in HouseCall or NiceJob indicating that the connection is active. While this is in Beta, HouseCall Pro is using a service called Zapier.com to power the connection. If you already have a Zapier account or would like to manage your own Zapier connection, let NiceJob know at support@nicejob.co. NiceJob will enroll that customer in the Get Reviews campaign. As this is a Zapier powered connection, it may take up to 15 minutes for the customer to be enrolled in NiceJob after the job closes in HouseCall. How can I tell if the connection is working? What do I do if I think the connection is not working? Just email us at support@nicejob.co or click the blue chat icon in the NiceJob app and let us know! We'll test it and make sure you're up and running. What do I need to set up the connection myself on Zapier.com? You'll need your HouseCall API key, contact NiceJob and we'll provide that to you. How do I remove the connection? If you set it up yourself on Zapier.com, you can remove it anytime by going to Zapier.com. If we set it up for you just email us at support@nicejob.co or click the blue chat icon in the NiceJob app to let us know and we'll remove it for you! Can I add photos when using the HouseCall automated connection? Yes, but not until after the review is received. We're working with HouseCall to enable you to add photos to the review invites as well even when using the automated connection. Can I add contacts that have no email address when using the HouseCall automated connection? Currently when using the HouseCall Pro connection, your contacts require an email address to be enrolled in the NiceJob Get Reviews campaign. In NiceJob you can add contacts to a campaign with or without an email address. We're working with HouseCall Pro to bring that ability to the automated connection in the very near future. Can I not invite contacts that have a specific HouseCall Pro tag? Yes! Just let us know the HouseCall Pro tag name. We'll create a filter that excludes customers with that tag. We recommend using a #noreview tag if this is a concern. You must let us know you want this for us to enable it for you. Can I not invite contacts that have a $0 amount in HouseCall Pro? Yes! Just let us know and we'll add that! We'll create a filter that excludes customers with that dollar ammount.